I’m sure you’ve seen these or something similar to them floating around online. I myself saw these on Pinterest many years ago and decided to give them a try. What a hit they were at a play date for my daughter. 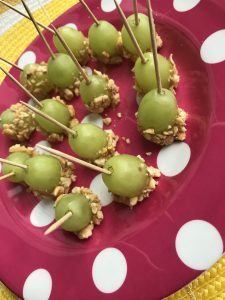 An activity and a snack in one? What a win win that is! 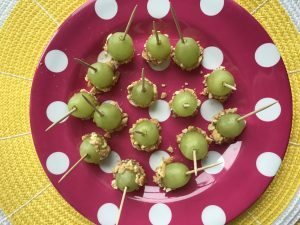 With only 4 ingredients, loved by kids and adults alike, these are a must try. Just so you know, I’ve linked some products and or ingredients I believe in and use myself, however I could collect a percentage of sales. At Mommy Spice we’re all a team in making meals and staying on budget and I hope you love the things I recommend as much as I do. First up, dice both of your peanuts fine and mix together on a shallow dish or plate. Pour caramel mixture into a small ramekin. 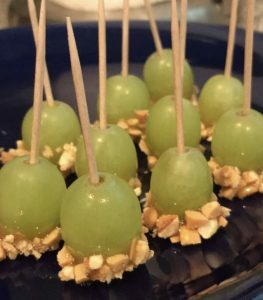 Stab the top of your washed and dried grapes with either a toothpick or kid safe fork depending on who is preparing this treat. Next, dunk your grape into caramel sauce, then immediately into peanut mixture. Eat right away or store in the fridge up to 24 hours. 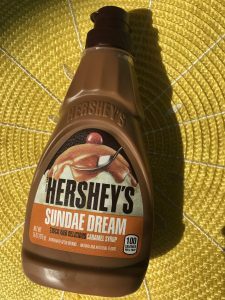 This caramel sauce can be found by ice cream cones and chocolate syrup at the grocery store or you can order it here. These are so easy guys! Green grapes can sometimes be a hard sell to little ones as you don’t know how sour they will be. This is where my idea for the peanut mixture came in. All honey roasted peanuts and it comes across as too sweet, all regular peanuts and not sweet enough, especially if you end up with a particularly sour batch of grapes. 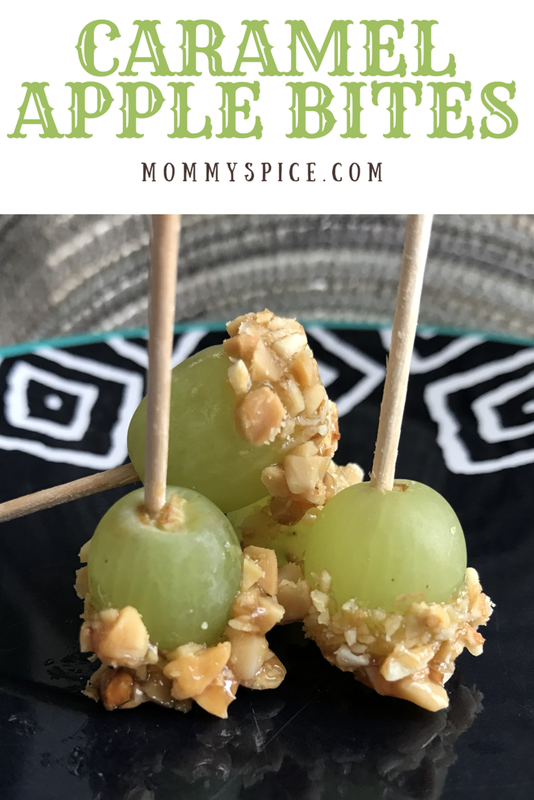 My tip for this one is if you do want to prepare these ahead of time, place them onto a wax paper lined plate so that you do not lose too much of the caramel peanut goodness when it comes time to eat. Perfect for parties, potlucks or play dates. I don’t know what it is about food on a stick but it always seems more fun to eat.